This is Gideon! 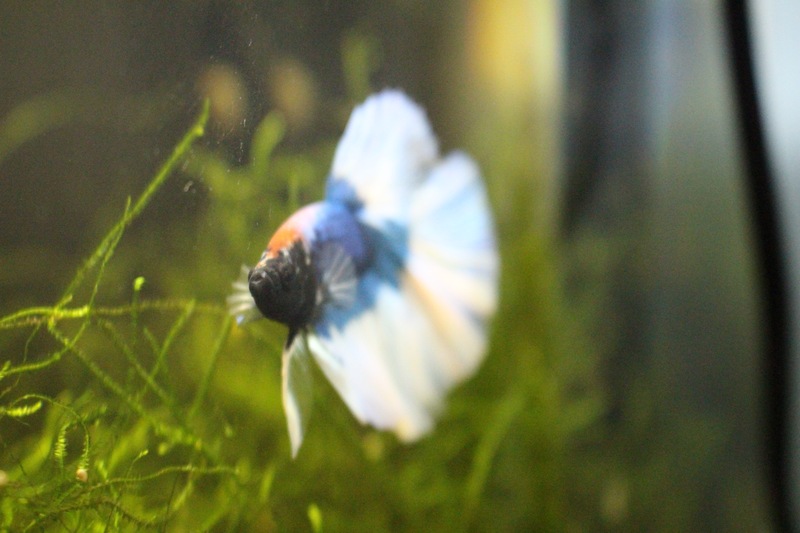 He’s my new betta fish, joining the snails and moss in what is currently harmony! I will probably be sharing stories and more pictures of him in the future, but I’m happy to have him with me! I’ve missed having a fish! Named after Tamora Pierce’s Trisana Chandler, Tris is a black female betta with red fins. Bought at my local fish store, Fish and More. This is the first female betta I ever owned, named Nymeria. I bought her at Petsmart last November, and she’s a very nice fish. She is enjoying the re-arranged tank, now that I’m moved into my apartment at school. I bought Celia a few weeks ago to add to my 10 gallon sorority, and she’s fit in beautifully. I named her after Celia Foote from The Help. She’s a very sweet fish, and has a habit of hiding in the java moss like the snails.